Looking to kick your party up a notch? 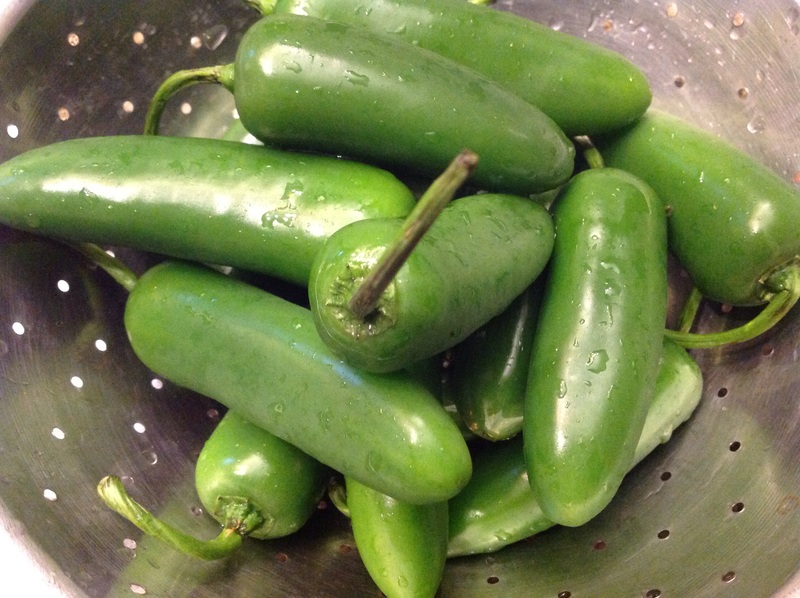 These Jalapeno poppers have just the right amount of heat to be exciting. With a velvety cheesy filling in a crunchy coating, they are a two-bite wonder. Baking them reduces the prep time and the calories without losing any of the texture and great taste. Serve this easy appetizer and watch your guests go wild. Oh, and plan to make way more than you think you need. They are that good. Preheat oven to 350F. Line a baking sheet with foil or parchment. Halve the peppers, trying to preserve stems on each half. Remove seeds and membranes and discard. The stems make them perfect nature-made finger foods. 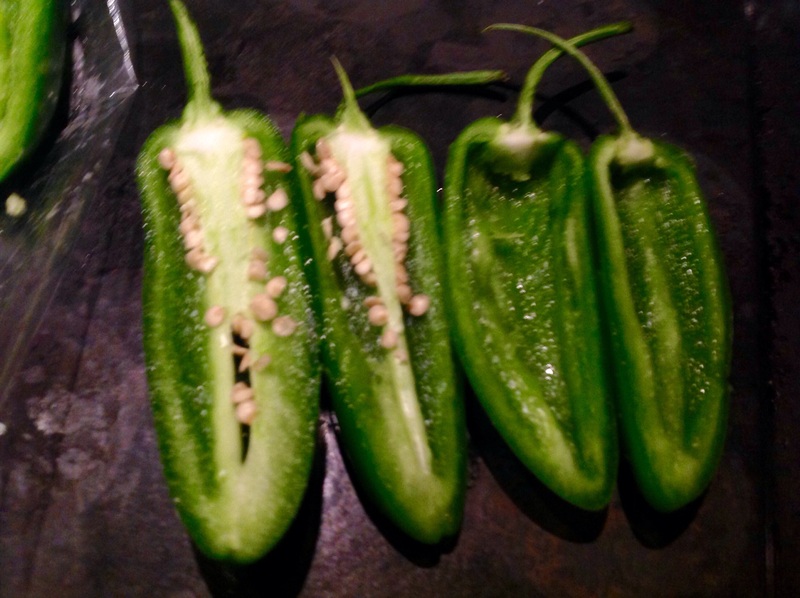 You may want to put on latex gloves to handle the peppers especially if you wear contact lenses as the seeds and membranes will leave their oils on your skin and this is what contains their heat. 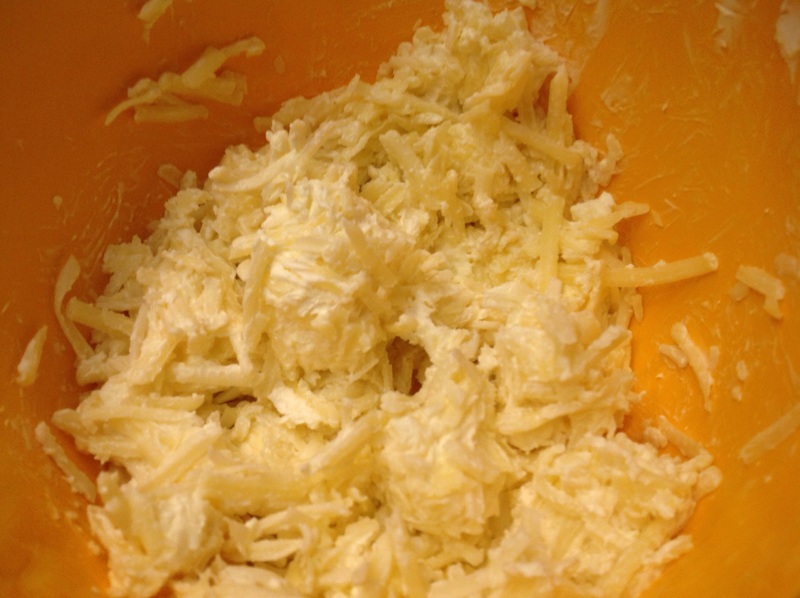 Mix cheeses and the mayonnaise together and fill each pepper with this mixture. 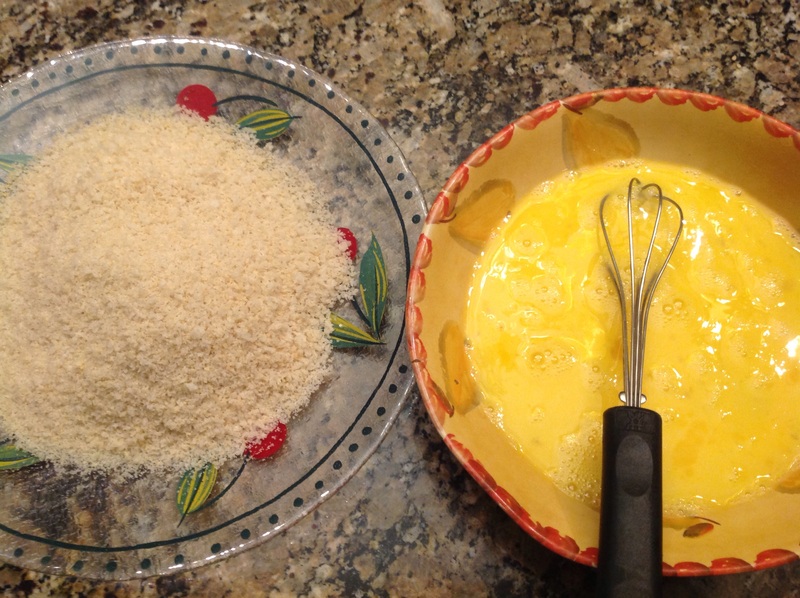 Dip each pepper in the egg then roll in the panko bread crumbs to coat lightly. 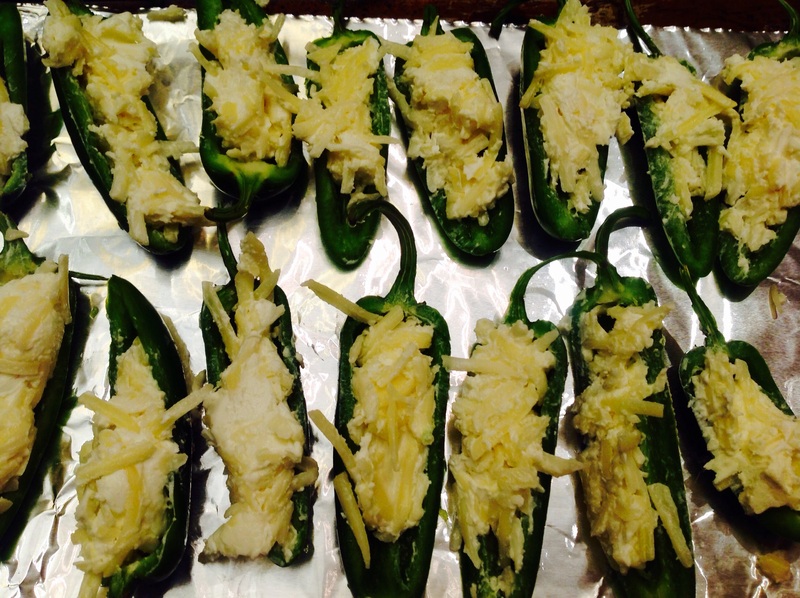 Place on the prepared baking sheet and bake for 30 minutes until cheese is melted and the peppers soft. For a skinnier version, use reduced fat cheeses, no-fat mayonnaise and egg substitute. This was originally a Weight Watchers’ recipe that I modified. You can use any combination of good melting cheese. The recipe can easily be doubled or made for a crowd. I once made 200 of these for a party and every last one vanished! Go ahead. Pop one and let’s get this party started! 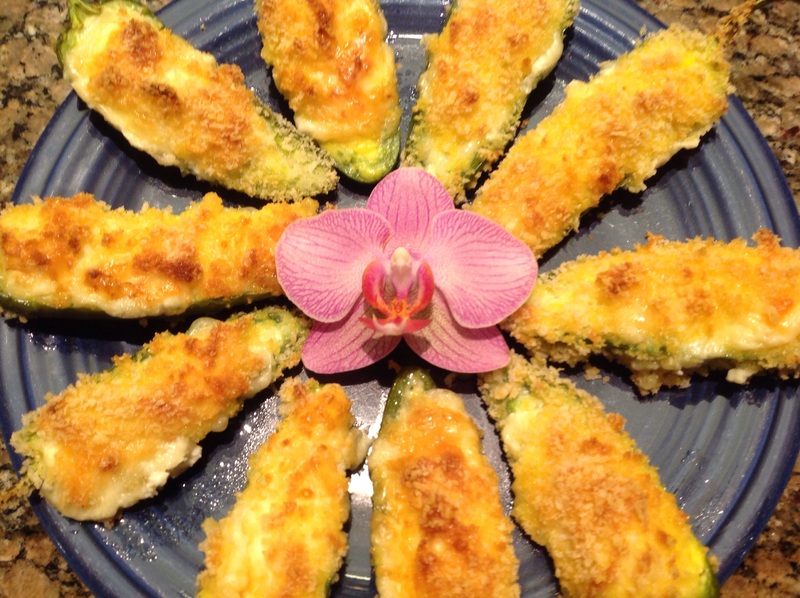 This entry was posted in Entertaining, Recipes and tagged Appetizer, cheesy jalapeno peppers, jalapeno peppers filled with cheese, Mexican appetizer, party appetizer by Johanne Lamarche. Bookmark the permalink. think I’ll try these for New Years Eve! thanks Johanne!! You will love them! We made them Christmas Eve and again last night. Huge hit. Happy New Year Louise! Can i make them ahead of time, and reheat them? A few hours ahead, keep at room temperature and reheat in oven just to soften cheese again. We have had leftovers the next day, reheated from the fridge and they were still good but they will lose some of the crispness of the coating, You could make them ahead, unbaked and bake them bake them an hour before you need them. The spicy treat is here! I went through your blog and simply loved PIERRETTE’S FRENCH CANADIAN TOURTIÈRE. It will be my spicy pie for Christmas. Thank you Ema! It is really different and very delicious. I hope you enjoy its unique taste. Happy New Year! Ofcuz, I will be trying my hands at this. 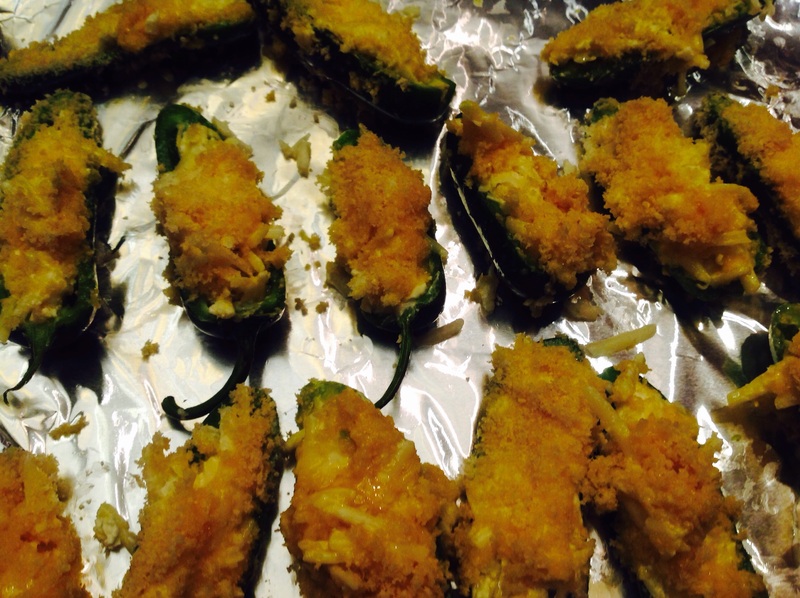 Baked Jalapeno Poppers is really a different blend of flavors altogether. Made them for a party last night. They were immediately scarfed up. Not sure if that is the proper spelling of scarf (to eat immediately). I was told that they were delicious. Scarfing is a wonderful compliment to be paid to a cook, I think. Glad the recipe was a hit!